This article is rated R18+… And is also banned. Australia has long had an interesting relationship with censorship and rating systems, particularly in the realm of video games. It took until 2013 for Australia to introduce an R18+ rating for video games, and even then, if a game is likely to be rated R18+, it often gets refused classification. South Park: The Stick of Truth was banned in Australia for some time back in 2014, based on a typically controversial scene. Interestingly, this was after the introduction of an R18+ rating in 2013, so it likely could and should have been released in full under that rating, however the scene had to be removed before it could be released. Censorship’s primary purpose is to protect the vulnerable, but as it was rated R18+, the people who were allowed to buy South Park in the first place weren’t vulnerable and didn’t need protecting. By comparison, every season of the TV series South Park is rated MA15+. It’s important to note here that censorship and proper rating systems do serve a practical and valuable purpose in protecting the vulnerable and allowing audiences to understand exactly what they are engaging with before they start. After all, nobody wants to be unpleasantly surprised in what they thought was a family-friendly film. However, for this to work, it requires the rating systems to be used properly, frequently and fairly to all media it pertains to, which the Australian Classification Board has proven incapable of doing. More recently, We Happy Few was refused classification based on a “positive portrayal of illicit drug use.” On the surface, this seems reasonable; of course we don’t want to endorse illicit drug use, but a closer look into the game’s narrative shows us that context matters more than anything else in consuming art, and that banning We Happy Few further highlights the original point that the game was trying to make. The first thing to point out is that in the universe of We Happy Few, the drug players consume is not illegal, and taking it is actually mandatory and encouraged by both social stigma and authority. Since the drug isn’t illegal, comparing it to real-world illicit drugs shows that the Australian Classification Board did at least read into the game and draw some obvious comparisons, but failed to follow through and consider the greater context. The disparity between the short-term and long-term effects of the drug ‘Joy’ is a key element of both the game’s story and gameplay. The drug does make the game easier in many ways by drawing less suspicion to your character, making you stronger in fights and causing you to take less damage, but taking too much of it in rapid succession or over the course of the game will lead to an instant failure. Like many real-world drugs, Joy offers a quick and easy escape at the cost of long-term health. The game further discourages actual drug use by showing other characters that take the drug as antagonists, and any playable characters have their unwillingness to take the drug as a defining positive characteristic. One of We Happy Few’s key messages is that drugs are not a good solution to traumatic situations, which is the opposite of how the Australian Classification Board apparently read it. 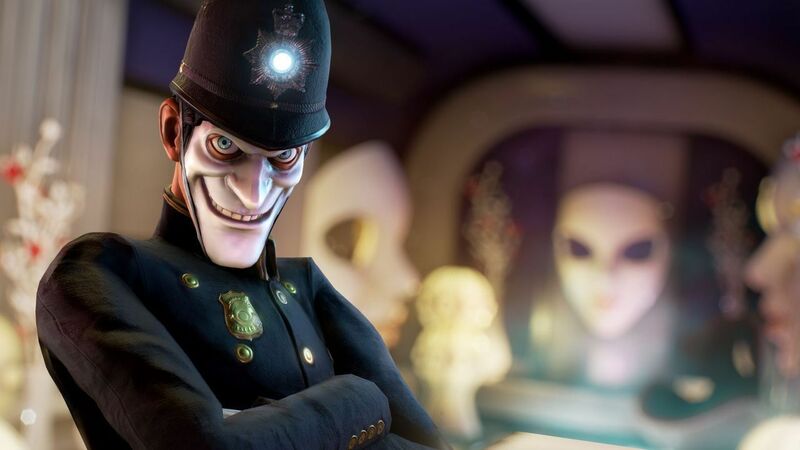 Properly understanding and consuming art in any form takes effort and insight, neither of which the Australian Classification Board gave to We Happy Few, and this resulted in a failure to comprehend the game’s most basic tenets. The whole affair shows a long-standing bias against video games as an artistic medium, which Australia has held for a long time. Australia’s film and publication industry both receive financial incentives to create, while the game development industry gets nothing of the sort. Refusing to look into We Happy Few on anything more than the most cursory level is another example of how video games are seen as not worth the same time and effort as other media. While art is subjective and I firmly believe that how a consumer reads into a piece is just as important as the creator’s intent, the ACB’s classification of We Happy Few shows a very basic misunderstanding of how to read intentions, and view work on anything more than the most basic of levels. This leads to a different problem, in that nobody can really decide how deep the Australian Classification Board should read into the work submitted to them. The ACB’s job at its simplest is to choose and rate an objective way to read into a subjective piece, which is an impossible task. It’s easy to say that the Board’s ratings should be taken as a recommendation only, and that adults can ultimately make their own decisions, but this leaves no legal precedent to stop children and adolescents watching things that they’re not ready for. There isn’t a simple solution to the complexities of objective rating systems, but the controversies surrounding We Happy Few and South Park: The Stick of Truth have highlighted the issues prevalent in our current system, proving that we need to be better at judging things on their own merit, rather than any preconceived notions and agendas. Until we consistently figure out how to do that, there are always going to be mistakes; and good work is going to suffer because of it. This thread is important reading in order to understand exactly how messed up the overall “concept” of We Happy Few even is supposed to be about, and why it is problematic AF. It handles mental illness very poorly. The article’s really more about the principle of censorship and regulation than the actual quality of the game. It’s easy to go “We’re not missing that much” for a bad game that makes its points poorly, but it sets a bad precedent for the future. In terms of how it handles mental illness, it’s great that we can have that discussion! Art that instigates conversation, even when it does it poorly, is important because it’s what leads to change. If We Happy Few was banned, we wouldn’t be able to discuss why it’s problematic and it would take us that much longer to change our attitudes towards it.